Purchase for Progress (P4P) is an initiative of the United Nations World Food Programme (WFP) that allows the agency to leverage its purchasing power to support agricultural and market development in developing countries. 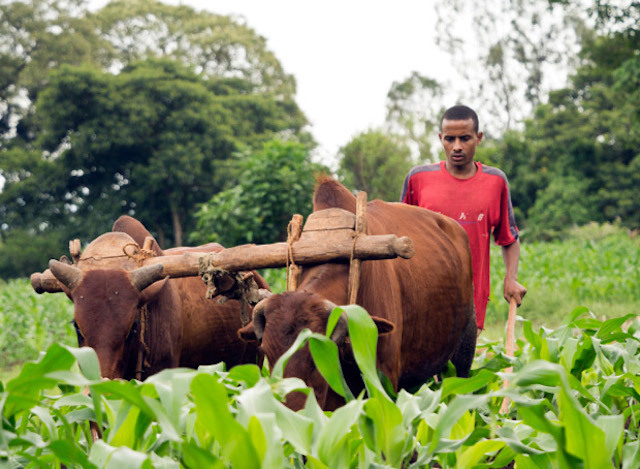 As a P4P partner, TechnoServe works with farmers’ cooperatives in Ethiopia, assisting them to improve their governance, business management and operation management so that they can sell to large institutional buyers such as WFP. This post originally appeared on the P4P website. Since 2009, TechnoServe has worked in Ethiopia, integrating smallholder coffee farmers into commercial markets. We now use our experience and knowledge of capacity development to complement the market opportunities P4P offers small-scale staple crop farmers. By providing cooperative unions with training to strengthen their business and financial management skills, we assist farmers to aggregate maize for their contracts with WFP. Together with P4P, we participate in the Ethiopia Maize Alliance, a group of key stakeholders convened by the Ethiopian Government’s Agricultural Transformation Agency (ATA). This collaboration has led to increased influence and improved joint problem solving in the field. Through these P4P partnerships, we have successfully contributed to improved livelihoods for tens of thousands of smallholder farmers. Meanwhile, there are still plenty of challenges to be faced. 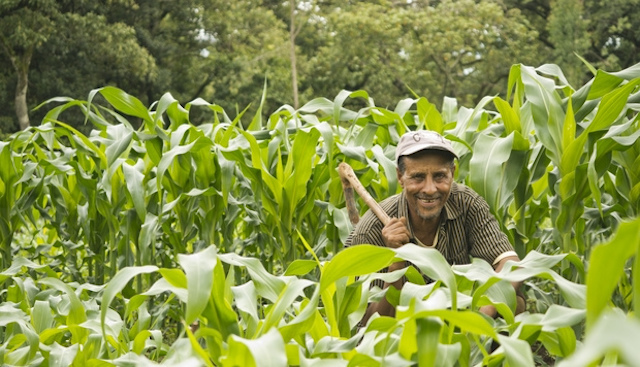 At TechnoServe, we believe that it is vital to foster ownership and pride among farmers. The Maize Alliance was instrumental in successfully facilitating unions with access to finance, which is a major focus of TechnoServe’s. This was enabled through a deep engagement with the Commercial Bank of Ethiopia (CBE), and led to cooperative unions following through with an impressive 100 percent repayment rate in the 2012-2013 season. Plus, forward delivery contracts have been successfully introduced, and are both understood and responded to by farmers. Finally, an improved business environment at the farmer and community level has been created, as we can now see how unions use aggregated contracts for sales beyond WFP. Despite our success in connecting cooperative unions to CBE, there are still many challenges to be faced in providing smallholders with sustainable access to credit. First and foremost, we increasingly need to continue linking them to a variety of banks beyond the CBE in order to foster competition. We must also ensure banks’ commitment to provide loans to cooperative unions in a consistent matter, even without pressure from the Maize Alliance. At TechnoServe, we believe that it is vital to foster ownership and pride among farmers. We found that many farmers have “Santa Claus” expectations of WFP due to a history and continued practice of providing equipment free of charge under P4P. Together we are working to change this mindset in Ethiopia. Working with P4P throughout the past few years has changed our impression of WFP, illustrating that the organization is committed to engaging in development work with smallholder farmers. In the future, we hope that WFP will further emphasize sustainable practices such as revolving funds in order to allow unions to pay for their equipment, at least in part. These funds can then be used to purchase equipment for other CUs in the future. Throughout our partnership with P4P we have successfully supported cooperative unions through the deployment of business advisors as well as field and business coordinators. Most importantly, union staff members have been trained as primary cooperative trainers. This allows for self-sufficiency and sustainable peer-based training, and facilitates the trickle down of skills. Though our participation with P4P has had many successful outcomes, our 12-month partnership agreements make implementation difficult and costly. We hope that in the future we will be able to engage in multi-year commitments in order to work towards longer-term sustainable change, and allow us to create long-term plans to save costs and improve overall impact. In order to create sustainable change in the lives of smallholder farmers in Ethiopia, we must invest in the smallholder farmer supply chain. This requires that we graduate smallholders from capacity building support, while ensuring that they are provided with sufficient supporting functions. Continued work in collaboration with the Maize Alliance and the Government of Ethiopia will further provide smallholders with an enabling environment and policies conducive to their success. Perhaps most importantly, we must continue supporting smallholders to access markets beyond WFP by working with other institutional buyers to show them the benefits of committing to developing the capacity of farmers’ organizations. This will facilitate the emergence of a market system that will allow cooperative unions to function successfully when operating in the open market. As WFP continues moving forward, leveraging lessons learned through P4P, continued support for smallholder farmers in Ethiopia is vital, as they are early on in their process of moving forward in development. With more than four decades of proven results, we here at TechnoServe believe in the power of private enterprise to transform lives.